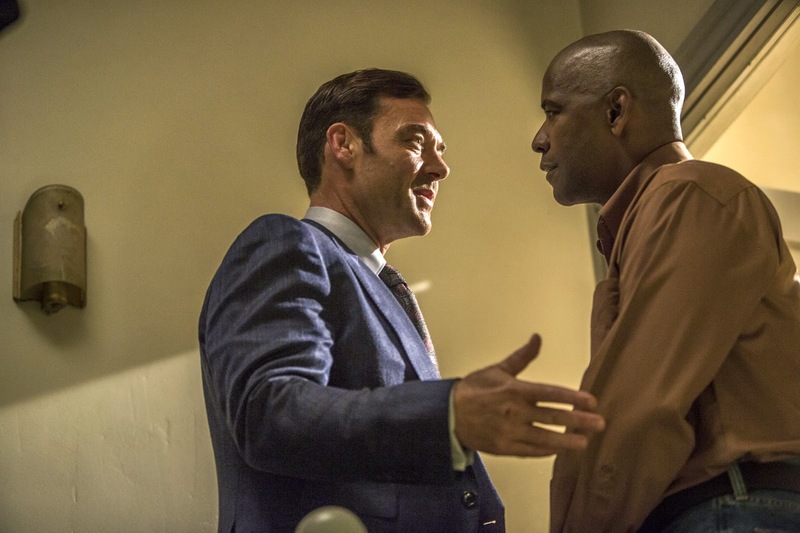 I never watched the original Edward Woodward TV series Antoine Fuqua's The Equalizer is based on. As a critic colleague reminded me, "Well, it was for the blue-hairs." And so it probably was, despite having a high quotient of violence and a killer main theme by the Police drummer Stewart Copeland. The new remake isn't much different, except maybe for abandoning Copeland's classic pulsating bit of electronica. Fuqua reunites with his Training Day star Denzel Washington and further strips down a premise that's already pretty spare to begin with. What's left is so thin and empty, a cloud of vapor would feel more substantial in comparison. Washington plays Robert McCall, an ex-government operative who literally bides his time, clocking almost every one of his mundane activities with a stopwatch. We're meant to take this as some kind of indication that this is how McCall stays sharp. On the other hand, what are we to make of the fact that in his retirement he decides to take a nondescript job as a sales associate at the Home Depot-like Home Mart? When he's not helping an overweight co-worker get fit for his security guard test, he spends his evenings chatting up teen prostitute Teri (Chloë Grace Moretz) at the local diner. A brutal attack leaves her hospitalized and prompts McCall to channel his overeager helpfulness in the direction of Teri's Russian pimp and ultimately, a scary mob fixer by the childlike name of Teddy (Marton Csokas) out to even the score. 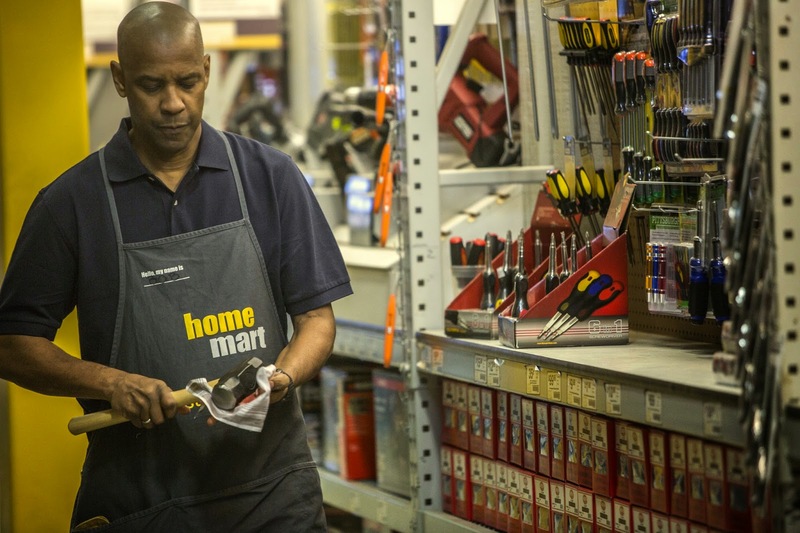 Yes, there is nothing extraordinary or surprising about The Equalizer save for McCall's employment at a hardware store, a running joke so prevalent throughout the film that it could come across as product placement were it not for the fact that Home Mart is a fictional company. Still, despite any misgivings about Fuqua's career post-Training Day (especially after his last film, the forgettably mediocre Olympus Has Fallen), one can't ignore the fact that he once directed the underrated Washington to an Oscar. 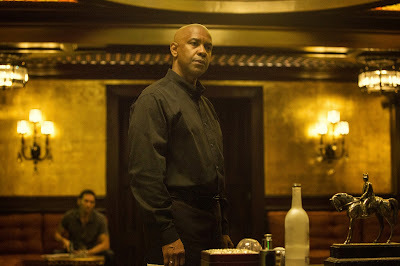 And Washington is as watchable here as he was when he played Training Day's heavy. As The Equalizer, Washington gets to display his affable charm when he's at his Home Mart day job and his frightening blankness as a vigilante at night. When his two lines of work inevitably intersect, the result is supposed to be explosive or at the very least intriguing. That volatile convergence never quite comes off though. Maybe it's because seeing the ultra-menacing Teddy and his crack team of scary sharpshooters lay siege to Home Mart isn't nearly as heart-stopping as earlier scenes where McCall takes them on in their own digs. 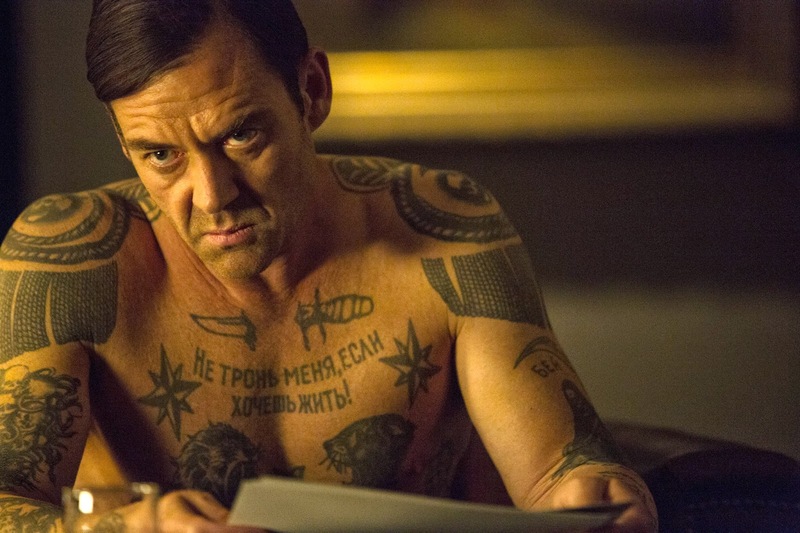 Washington looks quite terrifying when he's channeling Viggo Mortensen's character from Eastern Promises, single-handedly taking down thuggish, tattooed mobsters left and right at a well appointed Russo-Continental restaurant. The same can't be said when he struggles against intruders at a big box hardware store with the help of a wisecracking security guard who could have come out of an Apatow movie like The 40-Year-Old Virgin. Forcing the resourceful McCall to confront big bad Teddy with a department store nail gun is possibly the silliest offense of all. The first three-quarters of The Equalizer gets my highest respect for enlivening a fairly predictable plot with some mannered performances by Washington and Csokas. The disastrous last quarter of The Equalizer undercuts most everything that came before it, forcing me to deduct a whole star from my rating. And I'm not sure even an end credits reprise of Copeland's gritty theme music could have saved it.